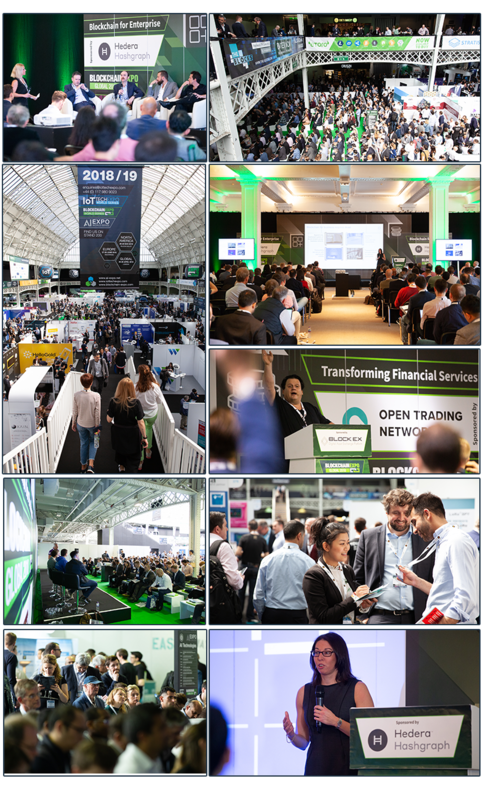 Thank you for attending the Blockchain Expo London 2018! The conference was the largest yet, with over 10,700+ delegates joining together for the co-located Blockchain, IoT Tech and AI Expo. With blockchain being the most cutting-edge technology, it was important to have 9 tracks covering all aspects of blockchain, an industry leading speaker line-up and an extensive exhibition hall of 250+ participating companies. Day one kick started with the popular Blockchain for Enterprise track, featuring talks and panels from the likes of IBM, Lloyd’s Register, The Bitfury Group, Centrica, BP and more. All delving into the challenges and opportunities that blockchain present within enterprise sectors. The first day saw the Cryptofinance and ICO Strategies track exploring the future of investing and launching token sales in the crypto space. There were also two free stages discovering the latest innovations in the Blockchain for Business track and a stage which showcased the latest applications of blockchain technology, directly from developers. On day 2 we saw an equally full expo centre, showcasing 4 different blockchain stages . The most common track, Transforming Financial Services, explored the infinite opportunities of blockchain technologies in the financial sector, including speakers from Santander, RBS, Lloyd’s Bank, Deutsche Bank and more. Alongside Transforming Financial services was the second day of the Blockchain for Enterprise track, exploring more case studies and in-depth discussions across various enterprise sectors. The free stages showcased ICO & Token Investment which discovered cutting edge Blockchain companies and their ICO propositions. As well as uncovering the future of Blockchain in the Blockchain for Technologies track. Blockchain Amsterdam Conference; Expert speakers Blockchain Amsterdam Conference; Blockchain Expo Europe – The Highlights Blockchain North America Conference arrives in Silicon Valley next week! Blockchain Expo North America 2018 – The Highlights!